Maggot Tea for Acne? Earwax for Cold sores? Australians pitch their unusual health remedies to a panel of medical experts in Medicine or Myth? Are the benefits of alternative remedies simply a myth or do they have a place alongside modern medicine? 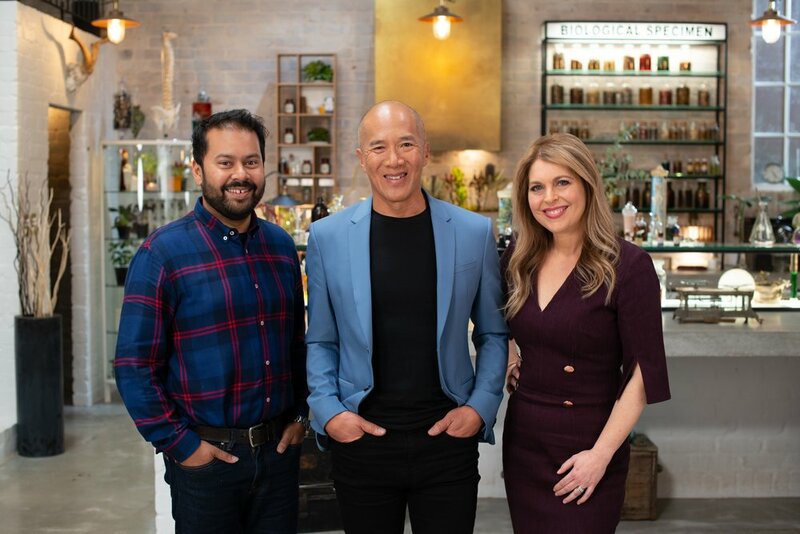 Renowned Australian Neurosurgeon Dr Charlie Teo leads a panel of medical experts aiming to discover if the diverse health remedies of everyday Australians can actually be viable treatments for a range of common ailments. Hosted by journalist Jan Fran, Medicine or Myth? follows everyday Australians as they pitch their diverse and sometimes divisive health remedies to a panel of medical experts in the hope of being selected for a real-world trial. Dr Charlie Teo is joined by Family & Women’s Health Expert Dr Ginni Mansberg and Associate Professor in Immunology, Ashraful Haque. From the everyday to the extreme, cultural traditions to controversial discoveries, these experts explore the stories and claims behind each remedy before selecting the most compelling cases for further investigation in real-world trials. Over eight weeks, the medical experts will hear passionate testimonies from people eager to spread the word about their alternative remedies from around the world. The debut episode explores seven proposed home remedies, including ear wax as a cure for cold sores, seahorse for asthma, charcoal for stings and bites, menstrual blood for period pain, and a fever bath for colds and flu. The episode features Chris, who proposes Miracle Fruit as a remedy for Dysgeusia. Chris witnessed how effective Miracle Fruit was when a friend with cancer, suffering the taste-altering effects of chemotherapy, was able to enjoy his food when he ate the berry first. He used the berries right up until his death. Originally from West Africa, Miracle Fruit contains a protein that makes anything sour taste incredibly sweet. Viewers will also meet Beata, who was once badly affected by acne. It impacted on her confidence and she didn’t want to leave the house. After prescribed medications disagreed with her, she remembered a remedy her Polish grandmother had recommended and decided to try it. Her sauerkraut remedy proved effective and she decided to share it on Medicine or Myth? From cultural traditions to family customs and controversial treatments, no remedy is too unconventional for consideration but only those with genuine potential for improving an ailment will be considered for further investigation in a trial. At the end of each episode, insights from the trial and its ultimate findings will be revealed to the Contributor who presented the remedy. They will discover if it warrants a place alongside modern medicine or in fact proved little more than a myth. Medicine or Myth? is produced by Warner Bros. International Television Production Australia for SBS. This program provides general information only and does not recommend or endorse any particular treatment. It is not intended to replace the advice provided by the viewer’s own doctor or medical or health professional. Medicine or Myth? premieres at 8.30pm Monday 20 May, and will air over eight weeks.